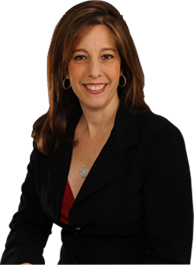 Fort Lauderdale divorce attorney Sandra Bonfiglio walks clients through every step of the divorce process, from filing the petition to the entry of your divorce judgment. Here we provide specific information about the requirements and procedures that are necessary to obtain a divorce in Florida. To get divorced in Florida, one or both of the spouses must live in the state for six months before filing for divorce. Once the residency requirement is met, a Florida court can claim jurisdiction over your case. For a military divorce, you may satisfy the residency requirement if you are stationed in Florida. One or both parties must file a “Petition for Dissolution of Marriage” in the circuit court in the county in which one party resides. The parties may also file additional paperwork at this time, such as a financial affidavit or a marital settlement agreement. Each party must provide a financial affidavit to the other party within 45 days of the service of the petition or several days before any temporary hearing (if financial statements were not filed with the Petition for Dissolution). If one spouse filed the divorce petition, the other spouse has 20 days from the date of being served to file an answer to the divorce petition. The answer should address the issues in the initial petition, as well as any additional issues addressed in a counter-petition. After the divorce petition is properly filed, the County Clerk of Court’s office will notify all parties of court dates and information required for a hearing. It is essential to follow the clerk’s directions and submit all required documents on time, as failure to provide the correct information or documents—or the failure to appear in court—will likely result in a dismissal of the divorce petition or even court sanction. At Sandra Bonfiglio, P.A., we represent clients on either side of divorce proceedings in all types of divorce cases, from the simple uncontested divorce to the complex, contested divorce that requires trial. No matter the circumstances, we do not let our clients go through the divorce process blindly. We explain every step, determining which issues are most important to you and devising strategies to deal with them, including equitable distribution, alimony, child custody and child support. If you are facing divorce, the advice and guidance of an experienced family lawyer can make a significant difference in the outcome of your case. For more information, contact Sandra Bonfiglio, P.A. in Fort Lauderdale to schedule a consultation.